The THUNDERCATS track a falling meteor of Thundrillium, their power source, to Hook Mountain—the icy landscape ruled by SNOWMAN and his giant cat SNOWMEOW. LION-O and SNARF offer friendship in exchange for the meteor, but SNOWMAN wages a battle for the “prize.” LION-O uses his power as Lord of “Cats” to command SNOWMEOW to obey him instead of his master. 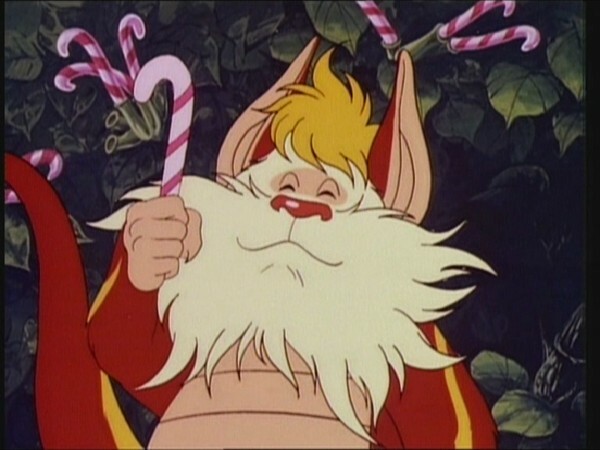 The MUTANTS enlist VULTUREMAN and his Flying Machine to steal the meteor, but SNARF and SNOWMEOW join forces to destroy the sky craft, sending the evil forces running. LION-O saves SNOWMAN from the Bottomless Chasm and friendship is pledged and accepted. Lion-O is motivated to set out on an independent mission to find Thundrillium, essential for the ThunderCats’ existence. Despite the threat of danger, he sees the journey and its successful conclusion as a necessary personal mission to prove his competence and certify his passage into adulthood. 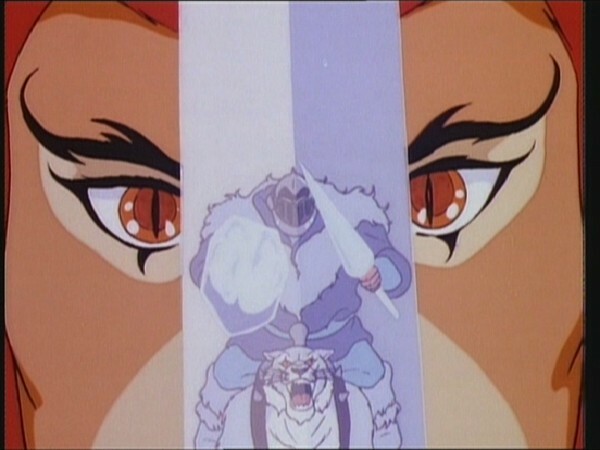 When confronted by Snowman, he offers a pact of honor, but Snowman’s reply is a test of combat to see if Lion-O can gain his respect and be worthy of such an alliance. Jaga once more teaches Lion-O that it is intelligence in conjunction with strength that succeeds. Faithful to his belief in the Code of Thundera, Lion-O rescues the defeated Snowman from death in order to gain his respect and initiate the alliance. Achievement motivation is the desire to master problems, improve skills and abilities, and to do well in a particular area. It involves a spontaneous evaluation of one’s performance against standards of excellence and an experience of satisfaction when the performance is successful. One element in children’s level of achievement motivation is their attributions concerning success and failure in a task. Four attributions or reasons for behavior and outcome can be identified: ability, effort, task difficulty, and luck. These causative factors influence children’s reactions to their behavior and their expectations about future performances. They can be considered in two dimensions: internal/external and stable/unstable. Task difficulty and luck are causes external to the individual and if outcome is attributed to those causes, effort to achieve is less likely to be made than if the outcome is attributed to ability and effort, which are causes controlled by the individual. Ability and task difficulty are stable causes, whereas effort and luck are unstable and changeable. Attributions about success and failure made to a stable cause are more likely to effect expectancies about future performance than those made to unstable causes. For example, a child who attributes outcome to his ability will expect success or failure in a similar task if his ability is considered adequate or not. And the child in this instance is likely to work hard, persist in the task, and try to succeed. A child who attributes outcome to task difficulty will expect success or failure if the task is considered easy or hard. On the other hand, a child who attributes outcome to unstable factors like the amount of effort made or luck will have uncertain expectancies about his performance (Weiner, 1974). Within the genre of action-oriented animated series from the 1980s, there would seem to be several recurring themes, concepts and ideas utilized to provide variety to certain episodes within those series. 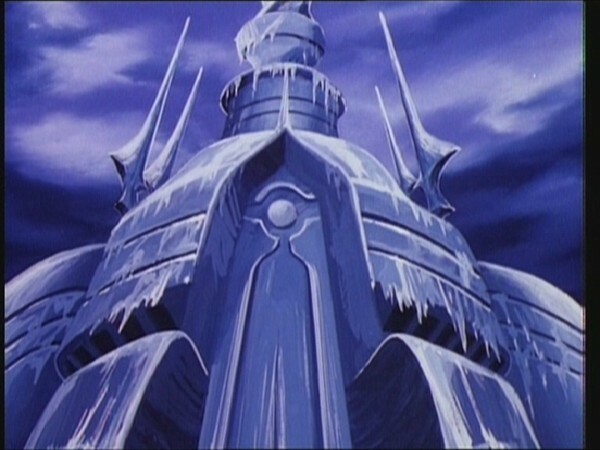 The most common of these is the obligatory “shrinking episode” (and this would be utilized in the ThunderCats series with the episode “The Wolfrat”), but another theme often used is a “snow-based” episode—an episode that takes place in a snowy location, with the different scenarios that that environment can create. 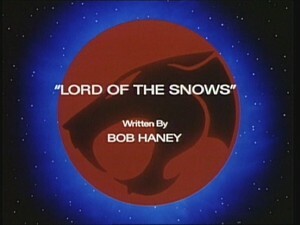 In “Lord of the Snows”, this is the theme that is utilized, and whilst it would be easy to dismiss this as unoriginal, in fact this episode employs this theme with brilliant credibility and originality, whilst in the process further exploring the ThunderCats’ adopted planet of Third Earth by introducing Hook Mountain and the Kingdom of the Snowmen. This episode marks the first appearance of several recurring guest characters, including the Snowman of Hook Mountain after whom this episode is named. The introduction of the Snowman in this episode is exciting and very believable because of the way it’s presented. 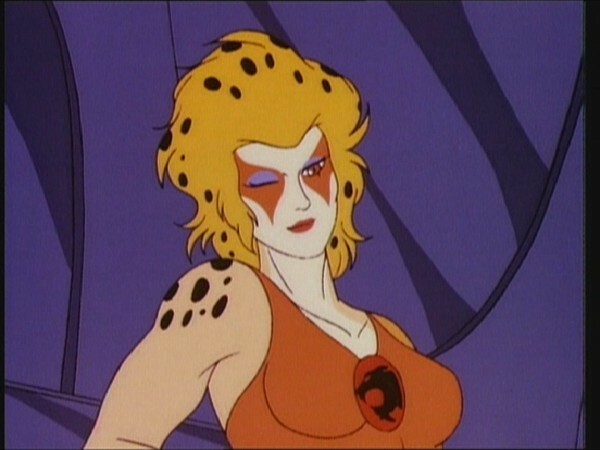 Whilst the ThunderCats have encountered initial suspicion and mistrust from the majority of races that they’ve encountered on Third Earth so far, this is the first episode in which they encounter really aggressive hostility from someone who would later become an ally. The way the Snowman reacts to meeting Lion-O actually speaks a lot about the complexity of his character, and initially marks him out as a villain—for, when Lion-O comes to the Snowman offering friendship and alliance, the Snowman reacts with prideful hostility, and demands that Lion-O earn his friendship by taking him on in combat. This is quite an interesting mindset, for Lion-O’s ability to defeat the Snowman (or not) would surely not serve as much of an indicator of how loyal or trustworthy an ally the young lord would be. What this establishes is that the Snowman is obviously a proud leader who doesn’t forge alliances easily, and that he places a lot of store by an ally’s ability in a combat situation, a mindset borne out by the Snowman’s territorial nature and readiness to fight. Nonetheless, in the end the Snowman proves himself to be a good and loyal friend, and intermixed with these negative aspects of his personality is a fierce, passionate loyalty that would aid the ThunderCats in many future episodes. 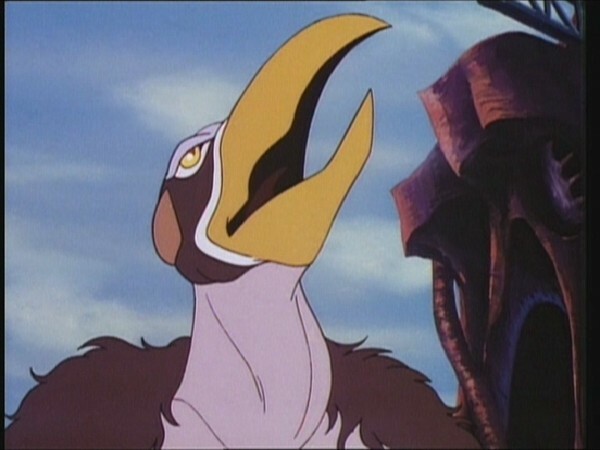 In this episode we are also introduced to Vultureman for the first time, who makes a memorable debut providing a real sense of danger when attacking Snowmeow and Snarf in his Flying Machine. I freely confess that Vultureman is one of my favorite evil characters from the series, and a big reason for that is because he receives a lot of very good storylines and a good degree of character development. 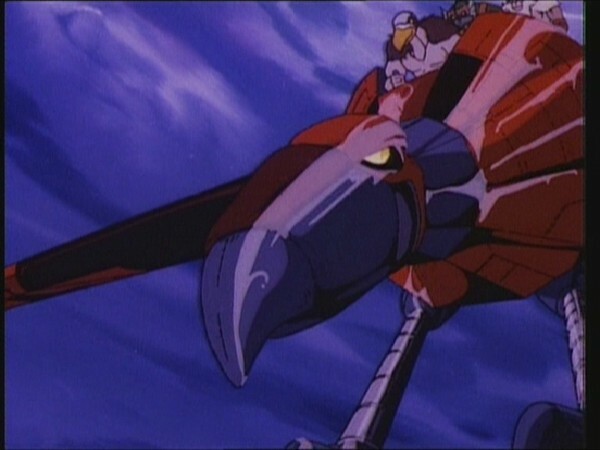 Whilst in this episode he is basically just shown as the skilled pilot of the first small airborne vehicle to be used by the Mutants in the series (remember that this episode predates the introduction of the Skycutter and Nosediver vehicles), later episodes would show Vultureman to be the true brains behind the Mutant cause, as well as a canny and duplicitous foe for the ThunderCats. This episode is also a very fine showcase for Lion-O. Here we see a definite progression from the early “cockiness” displayed by the ThunderCats’ young leader in the series’ earliest episodes, with Lion-O developing wise leadership skills that serve him well in this episode. Although it could be argued that Lion-O is overly prideful when battling the Snowman one-on-one (particularly when he dismisses Snarf’s pleas to summon the other ThunderCats), this is nonetheless tempered with a healthy degree of wisdom, for it could be argued that the Snowman would view this as an act of cowardice on Lion-O’s part, thus damaging the ThunderCats’ chances of forming an alliance with him. 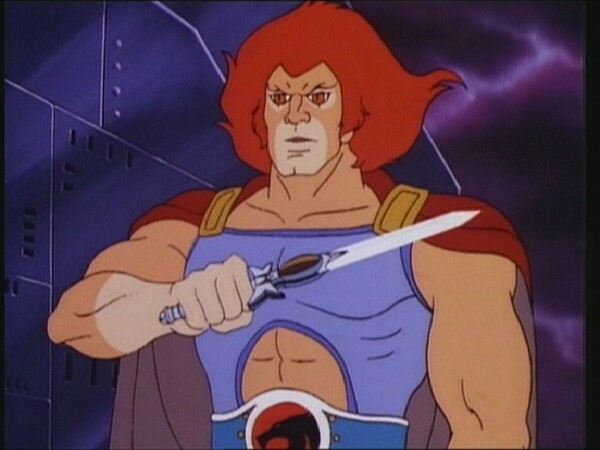 Lion-O also acts with mature authority and leadership, firstly in attempting to peaceably forge an alliance with the Snowman prior to his attack, and again when he saves the Snowman’s life. The Lion-O we first met in the series might have left the Snowman and simply taken the item he came to Hook Mountain for (namely the Thundrillium meteor), but in this episode Lion-O is able to look at the bigger picture (that being the benefit of forming a friendship with the Snowman), and wisely differentiates between a true enemy and an initially hostile but potential friend. It’s also a nice little character touch to see Lion-O reacting to this particular situation with greater wisdom and judgement than Snarf, representing something of a role reversal. 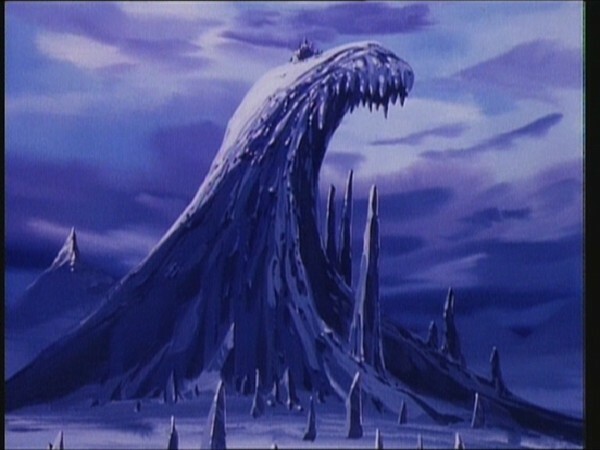 Something else that strikes me personally about this episode is how beautifully animated it is, with some highly inventive and visually exciting angles used during the fight sequences and some truly gorgeous background artwork of the various snowy landscapes evidenced on Hook Mountain. 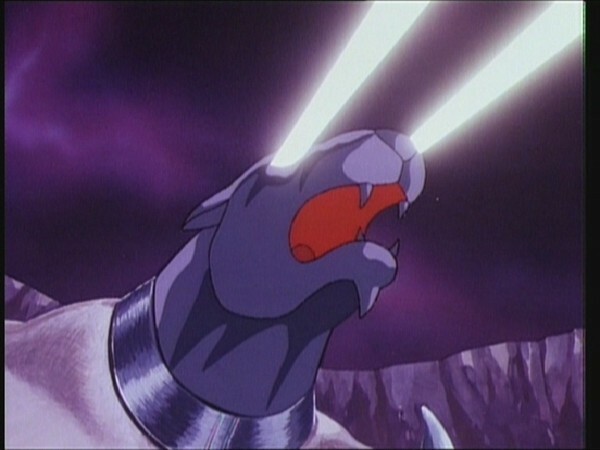 This episode is a true feast for the eyes, and something that the animators on ThunderCats deserved to be proud of. To summarize, this episode is unique in a variety of ways, and is also very significant in the overall context of the series. 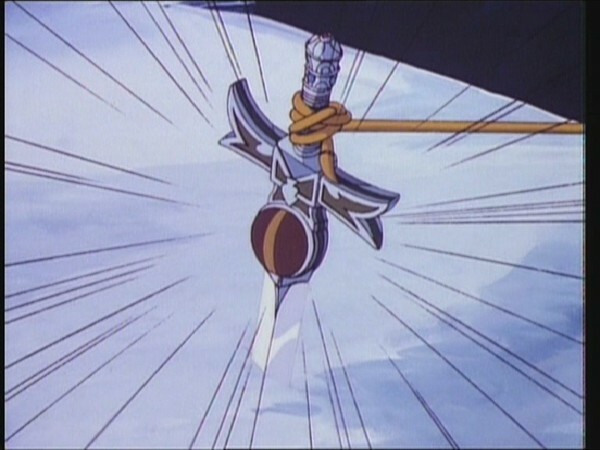 As such, it is easily one of the most memorable episodes of ThunderCats‘ first season. Two regular guest characters, Snowman and his feline steed Snowmeow, make their debuts in this episode. Both would make several return appearances throughout the course of the series, both together and separately. More than once during this episode, the Snowmen of Hook Mountain are referred to in the plural, indicating that there are more of the Snowman’s race present on Third Earth. However, the Snowman we meet in this episode is the only one of his kind ever seen throughout the course of the series! This episode marks the first appearance of Vultureman, as well as his Flying Machine. Although it was subsequently established that Vultureman was of Plun-Darrian origin, no explanation was ever given within the series as to where he came from or how he came to be working with the other Mutant leaders on Third Earth. Also, as a further note of interest, whilst the other Mutants were all shown to be leaders of their own races or factions (for example, S-S-Slithe as the leader of the Reptillians, etc. ), no other “Vulturemen” were ever shown throughout the course of the series. 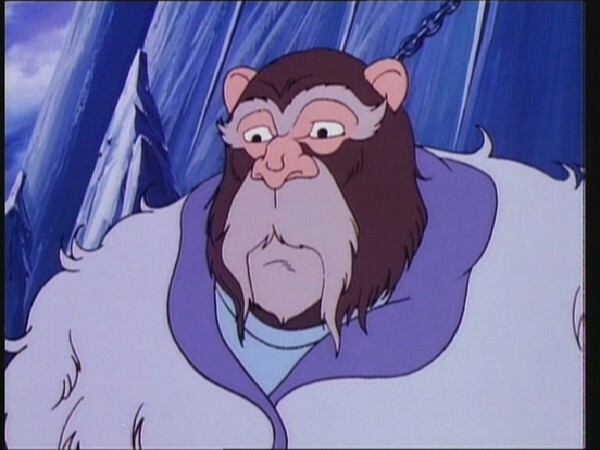 Throughout the remainder of the ThunderCats series, Vultureman’s voice was provided by Earl Hammond. 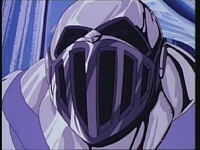 However, for his debut appearance in this episode, he’s voiced by Robert McFadden! Although the last of the regularly recurring Mutant characters to be introduced, Vultureman would also have the privilege of being the last Mutant seen in the series, courtesy of his starring role in episode 128, “The Zaxx Factor”! This episode provides us with our first detailed look at the moat surrounding Castle Plun-Darr, showing several types of creatures living within it. The moat is depicted as being an almost swamp-like environment, which is in contrast to the way it is shown a few episodes later, in “The Fireballs of Plun-Darr”, where it’s filled with water. 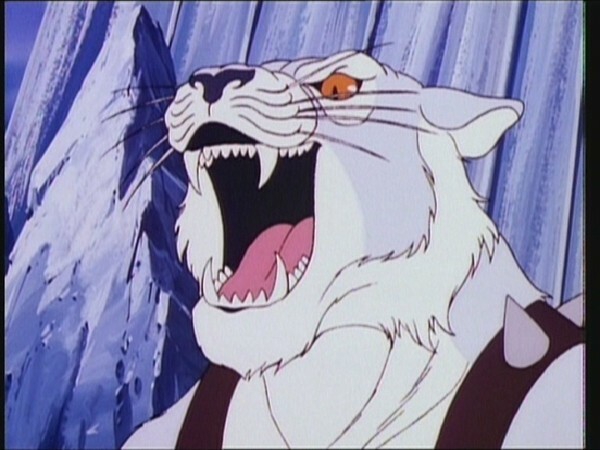 In this episode, Lion-O successfully commands Snowmeow to halt when being charged by the Snowman, revealing that Lion-O possesses some form of telepathic power over other (non-humanoid) cats. This is the only time that Lion-O would display this power in the series. This episode was adapted into a Find Your Fate book with multiple storylines and endings. The whirlwind that Lion-O and Snarf encounter is intended to be the Vortex—Leonard Starr’s map of Third Earth places it at the base of Hook Mountain, and the aforementioned Find Your Fate book names it as such—but it is clearly not the same Vortex that Lion-O encounters in the Trial of Strength, especially since Lion-O doesn’t recognize it during that second encounter. This is the first of several ThunderCats episodes to be penned by comics legend Bob Haney. Bob had an extensive CV in the field of comic books, particularly working for DC Comics where his most notable feat was co-creating the original Teen Titans. Bob also worked on many of DC’s flagship characters including Batman and Superman, and also produced scripts for the 1960s Superman and Aquaman cartoons produced by Filmation. Sadly, Bob Haney passed away in November 2004, aged 78.